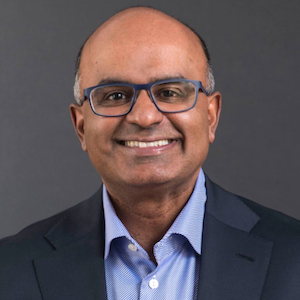 Guest: Sekar Kathiresan, Director of the Center of Genomic Medicine at the Massachusetts General Hospital and Cardiovascular Disease Initiative at the Broad Institute. Professor of Medicine at the Harvard Medical School. 03:51 In people with an early heart attack, can we identify a Mendelian mutation in only 2% – so what’s going on in with everybody else? 08:39 PRS for cardiovascular disease: the genomic risk from common variants boiled down to a single number, with a predictive value similar to cholesterol. 19:52 Does medication lower risk for people with higher PRS scores? 23:57 Does this PRS, developed primarily in people of European ancestry, work in other populations? 34:07 The value of determining polygenic risk will vary depending on what intervention is possible – each situation will have to be assessed individually. 35:40 You don’t need a whole genome sequence to do a PRS – Sek predicts tests will be available for less than twenty bucks, using chips and imputation.